What do you think this place is? I suppose it is in the building, but a river flows, and a bridge is built. Can you guess? 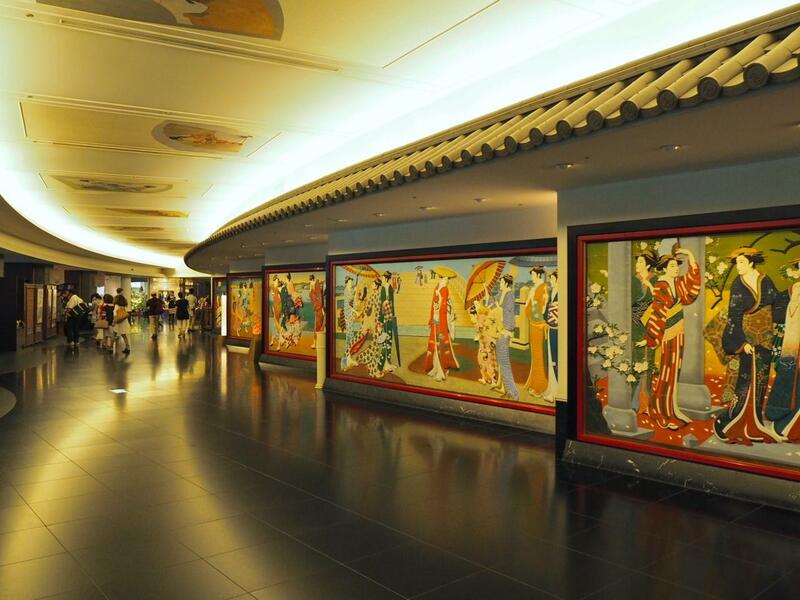 In addition, the picture such as the Ukiyoe is displayed on the walls. It seems like the luxury Japanese restaurant. The passage spreading out here like this. In fact, it is a restroom of one million dollars. 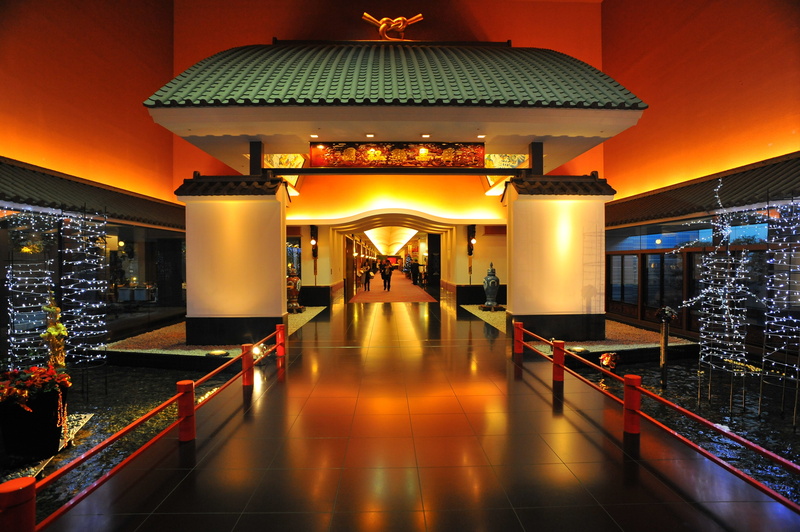 It is in Meguro Gajoen hotel of Tokyo called the Dragon’s Palace of the Showa era. All rooms are suites more than 80 square meters, here is a super luxurious hotel outstanding in Tokyo. The Meguro Gajoen hotel has a history since 1928, and the buildings called “Hundred Steps” “Jippo Room” “Seiko Room” are designated as registered tangible cultural properties of the country. 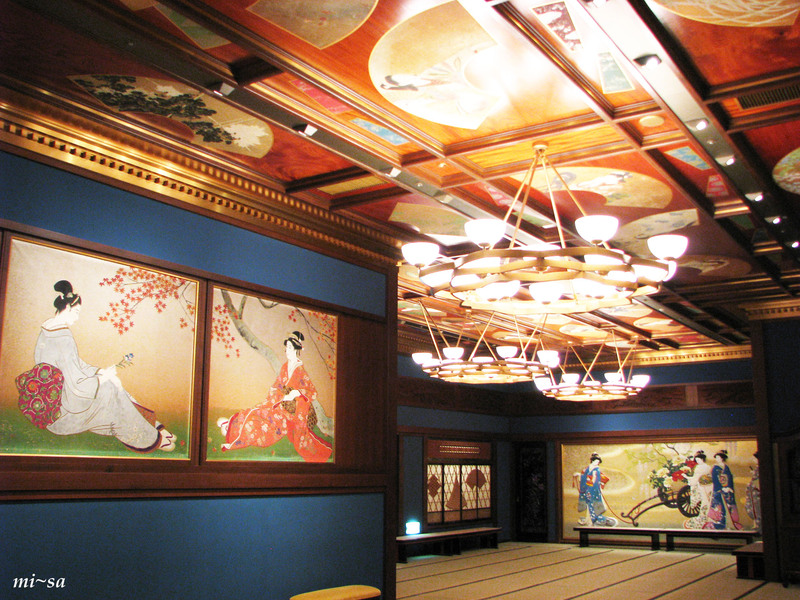 Japanese paintings decorating ceilings and walls, sculptures and anything are first-class items as art objects. The whole hotel is a wonderful art piece. The origin of the name of “Gajoen” is a Chinese word meaning “a place where liberal artists and hobbies can not get bored all day”. As its name suggests, fine decorations are given everywhere in the building, and it is a spot where you can enjoy just walking by looking. Going in from the entrance, the corridor which is the first sightseeing spot appears. It is “colored carved wooden boards” which was decorated at the opening of business to color the walls. The colorful “colored carved wooden boards” filling the corridor, which may be 100 meters, is a masterpiece. 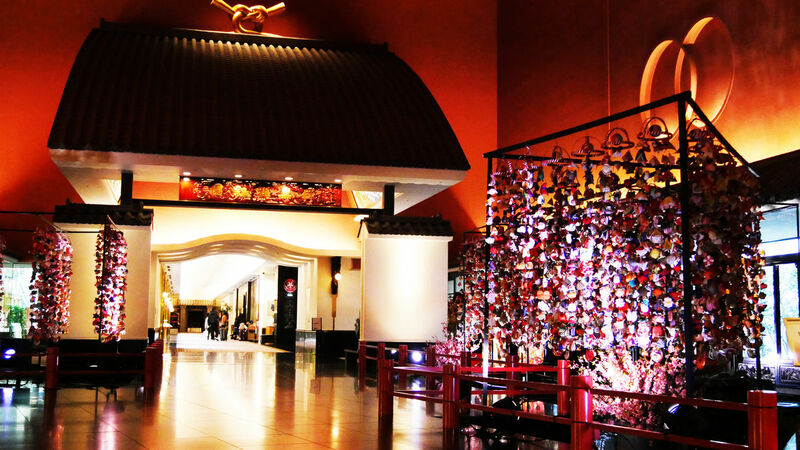 As you go through the corridor, you will see the “Invitation Gate” with a mysterious mood. On the tile roof there is a knot-shaped decoration, which seems to mean love fulfillment. On the other side of the “Invitation Gate” there is a toilet like a gorgeous resting place. As soon as you enter there, a river flows. There is a bridge in the room and it is made luxuriously. It is surprising that there is a garden in the toilet. When crossing the bridge there is a sink in the left and a private room in the back. The door of the private room is vermilion-lacquered, with a pattern of Raden workmanship. “Raden” is a traditional craft that embeds shells shining with iridescent in black lacquer. That Raden is used luxuriously here and there. The interior of the spacious area is a calm atmosphere which made the light a little dark. On the ceiling there is a beautiful figure decorated with gilt around. The toilet was originally in the old building, but it was relocated in 1991 and rebuilt further gorgeous with improvements added. It is worth rebuilding in the hall over the cost of 85 billion yen in the economic bubble period. You can not see inside of the room if you do not stay in, but use the restroom of the first-floor free of charge. Do you think that it is just a restroom even if I say it is so luxurious? No, do not despise it. The restroom has a relaxed atmosphere, and the illumination is darkened. I just looked up and found a painting of beauties on the ceiling. 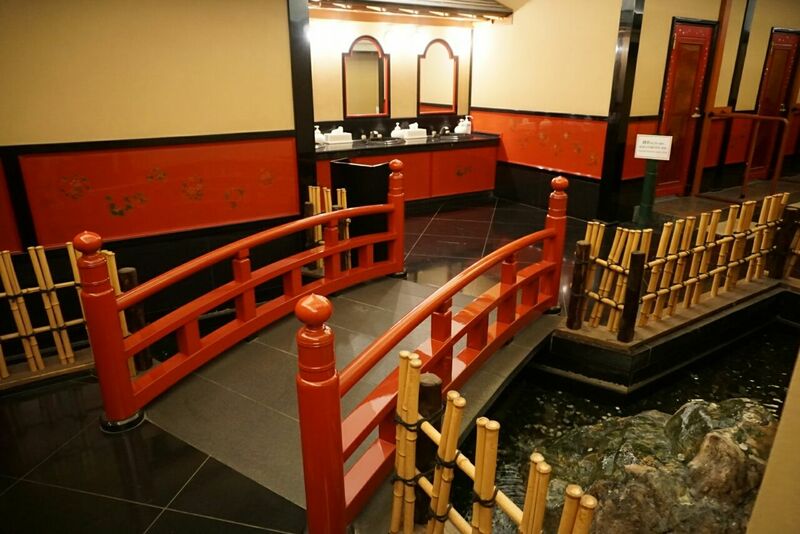 The restroom of Meguro Gajoen is very famous, and everyone is surprised at the magnificence. It is a Tokyo’s best luxurious restroom.